Government commitment and international funding have enabled Haiti’s national HIV response efforts to weather natural disasters and political instability. ICAP is working with the Ministry of Health to show the impact of these efforts through the HIV population-based survey, which estimates national levels of HIV testing, treatment, and viral load suppression to drive future programmatic investment. In September 2002, the Mailman School of Public Health (MSPH) at Columbia University (CU) entered into a Cooperative Agreement with the Centers for Disease Control (CDC) for the University Technical Assistance Projects (UTAP) in Support of the Global HIV/AIDS Program. Situated within ICAP, UTAP was originally envisioned as a single-country program for the provision of technical assistance, but rapidly grew to include long-term and short-term technical and administrative assistance to the national responses to HIV/AIDS in five countries: Mozambique, Rwanda, South Africa, Tanzania, and Zambia. As the original UTAP project drew to a close and PEPFAR moved into its second phase—focused on sustainability—ICAP entered into several, follow-on Cooperative Agreements, called UTAP-2. 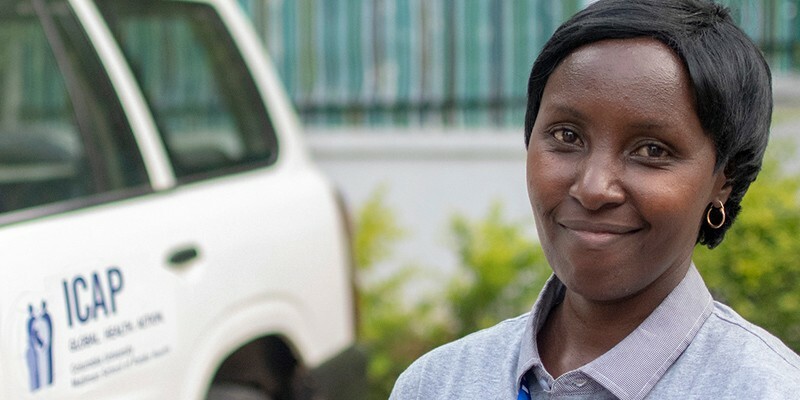 Four were country-focused (in Côte d’Ivoire, Democratic Republic of Congo, Swaziland, and Tanzania) and the fifth—UTAP-2 Atlanta—became a flexible mechanism for providing a wide range of technical assistance and other support to PEPFAR countries. After beginning in 2009 as a means to help CDC conduct surveillance training more efficiently through distance education, UTAP-2 Atlanta grew over the next six and a half years to comprise 11 distinct projects addressing needs and gaps in the HIV response and answering important research questions to inform the response going forward. Find all UTAP and UTAP-2 resources here. Dr. Barbara Roussel is the current Chief of Party for ICAP in Haiti. She has over 12 years of experience in HIV/AIDS program management with seven years in infectious disease surveillance as the Country Director for NASTAD Haiti. She has also served several critical functions and roles in program implementation for non-profit organizations, including program management and Ministry of Health staff capacity building, supervision, and leadership. She has extensive experience working in collaboration with U.S. Government-funded agencies. Her most recent experience was at the Clinton Health Access Initiative (CHAI) as the Country Manager overseeing the general operations, management, and supervision of CHAI’s malaria program in partnership with the Ministry of Health in Haiti. She also has experience in survey implementation, including Haiti’s 2012 bi-annual national Antenatal Survey (ANC) as a co-investigator. In her current position at ICAP in Haiti, she oversees the implementation and operations of the country office and provides technical oversight for the Population-based HIV Impact Assessment (PHIA) project in Haiti. Dr. Roussel is a medical doctor and holds a Master of Science in Emergency Preparedness from the University of Nebraska Medical Center (UNMC), Nebraska USA.